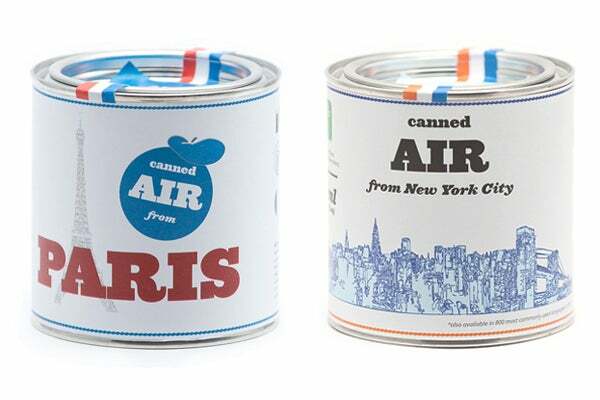 Some Chinese have started buying cans of fresh air imported from Canada. People once thought mineral water could never sell but now it’s one of the most sought after items because it is difficult to get clean trustworthy water. It is time to stop taking all the free stuff nature has given us for granted or our own state of Nagaland could be in trouble too. Air pollution in our state is increasing each year, surpassing the National Permissible Limit. According to National Ambient Air Quality Standards 2009, the annual average concentrations of Respirable Suspended Particulate Matter (RSPM) should not exceed 60 micrograms per cubic metre (µg/m3); however, Dhobinullah recorded 158 and Bank Colony 111 in 2014, surpassing the 2013 record of 116 and 89 respectively. With this steady rise in pollution, a grim prospect awaits us in 2016, unless we do something immediately. “How clean is the air we are breathing now?” This is one of the biggest concerns that the whole world is debating about. Air pollution has become a huge problem, especially for those people living in the urban areas. Getting a breath of fresh and clean air has become a luxury; and ironically, the air that we need to survive may instead be slowly killing us without us even noticing it. Any kind of pollution is harmful, but the pollution in the air disperses rather quickly and is therefore a threat and a matter of serious concern. Nagaland, though a small state, is experiencing fast rate of growth in urban centres particularly in Dimapur and Kohima and we are experiencing the same problem of air pollution. According to the studies conducted by the Nagaland Pollution Control Board (NPCB), air pollution at Dhobinala and Bank Colony (both in Dimapur) exceeds the national permissible limit. One of the main causes of air pollution in our state is the increased number of motor vehicles. Thousands of vehicles ply on our small narrow roads everyday and the amount of hazardous gas that is emitted from the exhaust of these engines contains all kinds of pollution. We Nagas are fond of cars and almost every household owns one. Although it has almost become a necessity to own a vehicle, we should be sensible and responsible in how we use it. Apart from the emissions from motor vehicles which is a major air pollutant, non black topped roads itself is a pollutant. And sadly there is no shortage of that in our state. When vehicles are driven on dusty roads, there are pedestrians inhaling the dust. These small particles when it gets into the lungs cause serious health concerns. Numerous incomplete constructions of buildings also add in causing dust accumulation in the atmosphere. The level of pollution in Nagaland has become hazardous that it is common to see people wear face masks to filter out the pollution. Besides the outdoor pollution, Nagas are constantly exposed to serious health threats caused by indoor pollution since most homes still use firewood and coal for numerous purposes; without a proper chimney we end up inhaling a lot of smoke. Going by the WHO report, Naga families are exposed to serious health threats since most homes still use firewood and coal for multiple purposes. We should give more emphasis on having proper chimney facilities, especially in the villages because in our Naga society people usually prefer to stay in the kitchen more than any other room. Air pollution is also produced naturally; but the current rapid increase of pollution in the air that we face is essentially manmade. Though we cannot stop the pollution that occurs naturally; it is certainly possible to try and reduce the disruption it causes. However, manmade or unnatural types of pollution need a serious check. Just last year in December, the pollution in Beijing was so bad that the city was put on red alert. Red alert is a system instituted to keep people indoors on days when air pollution climbs to hazardous levels; it aims to reduce pollution and protect health on days when the smog is expected to be especially bad by limiting the use of cars, closing schools, shutting down outdoor construction site and closing certain industrial plants. China being the world’s largest user of coal practically caused this horrific increase in air pollution and fossil fuels, industrialization and an ever increasing rise in vehicles have all left the air nearly unbeatable in many areas. Some Chinese have even begun buying cans of fresh air imported from Canada. Realising the growing threat that air pollution poses, the Delhi government also came up with an ‘odd-even’ pollution-control policy in an effort to curb air pollution in the city that is increasing at an alarming rate due to different factors. Even though the ‘odd-even’ policy had a mixed response but nevertheless it can be considered as a move towards the right direction. We often tend to take action only after a certain terrifying incident has happened. Instead we should take precautions before-hand. Nagas are bright, educated and creative young people with the ability to arrive at practical and innovative ideas, campaigns and policies to try and tackle this problem in our state. And our state should be ready to lend all the support that is needed when the time comes. Helping people to understand the causes and effects of pollution and what they can do to tackle the issue is very important. Air pollution is not someone else’s problem, all of us help to cause it and we can all help to clean it up, starting now. Nagaland is our home and we should do all that is necessary to make our homeland a better and a cleaner place. Let’s give Nagaland a breath of fresh air. “Degree of Thought is a weekly community column initiated by Tetso College in partnership with The Morung Express. Degree of Thought will delve into the social, cultural, political and educational issues around us. The views expressed here do not reflect the opinion of the institution. Tetso College is a NAAC Accredited UGC recognised Commerce and Arts College. For feedback or comments please email: dot@tetsocollege.org”.